All original visuals have been reworked. In addition to retouching the image, all text, logos, and graphics were recomposed, while the shades were optimized for printing. The surface to be bonded must be perfectly dry, clean and degreased. Zum Verkauf steht eine Acrylglas Box der Marke Ninodo. Sie lässt sich sowohl. Die Abgebildeten Spiele/ Konsolen dienen lediglich Demonstrationszwecken. schützt die Spiele vor Vergilbung durch Lichteinstrahlung. Leere Steelbox / Steelbook für CD/DVD. ohne Spiel, nur die Hülle. Beste Kunden-. 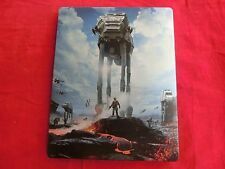 im Star Wars Battlefront Design. 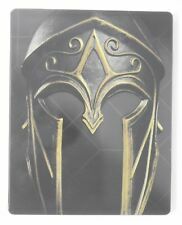 Genuine Steelbook Case from Gold Edition of Assassin's Creed Odyssey. We are here for you! We strive for you to have a "Goldstar" experience start to finish! Used- Very Good Condition! - Item shows very little signs of use. Leere Steelbox / Steelbook für CD/DVD. ohne Spiel, nur die Hülle. Beste Kunden-. im Battlefield 1 - Design. Größe: Blue-Ray. BOX & MANUAL ONLY. WHATS INCLUDED: BOX & MANUAL/ORIGINAL PAPERWORK ONLY. WE WILL WORK TO RESOLVE ANY ISSUES YOU HAVE. CONDITION: USED, BUT IN FAIR CONDITION. Vendo la scatola del gioco "Bionic Commando" per Nintendo NES. La scatola è 100% ORIGINALE (. The box is 100% ORIGINAL (. ). 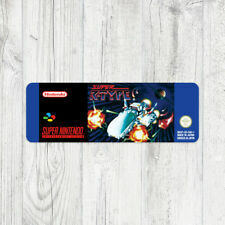 Vendo la scatola del gioco "Slalom" per Nintendo NES. La scatola è 100% ORIGINALE (. The box is 100% ORIGINAL (. ). 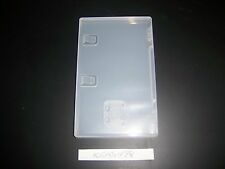 Hitman The Complete First Season Sony PS4 Steelbook Empty Box Case Only No Disc. Condition is Acceptable. Dispatched with Royal Mail 2nd Class Large Letter. This is for the box and instructions included as pictured. Case is in good condition. Elite Beat Agents - Authentic - Nintendo DS - Case / Box Only! As shown in the pictures this is the case and manual only. It is all genuine UK PAL issue, not a copy etc, all parts are genuine Nintendo. I have added plenty of large photographs so you can see for yourself exactly what the condition is like. Banjo Kazooie - The sides of the box are creased and the box is slightly squashed. Diddy Kong Racing - There is a tear to the left side of the box. There is a large sticker on the front cover. The top of the box and sides are creased. Like new condition, as pictured. Many thanks for looking! Box only. Includes the two boxes shown but it does NOT include games or manuals. The boxes have some signs of wear which appears to have been from getting slightly crushed. 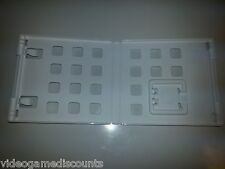 The flap to open the boxes have bends on them. See pictures. ALL ORIGINAL MADE BY Sony. 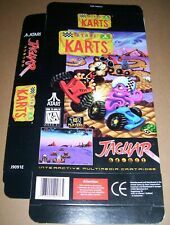 NO MANUAL INCLUDED - SONY DOES NOT MAKE A MANUAL FOR THIS TITLE. World Series Baseball 95 - Authentic - Sega Genesis - Case / Box Only! Nintendogs Dalmation and Friends Limited Edition Nintendo DS - Case / Box Only! OFFICIAL PLAYSTATION 2. MIXED COLOUR. 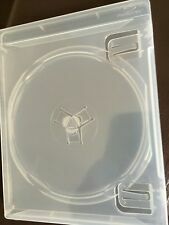 2 X CLEAR DOUBLE DISC HOLDER.